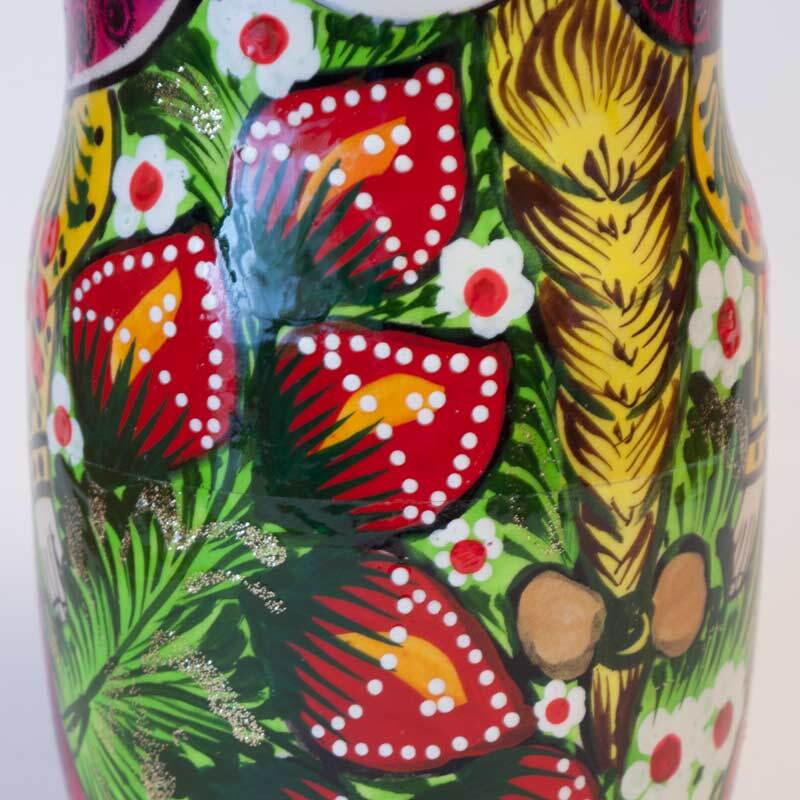 Polina's Godmother Matryoshka Doll is painted in classical traditional style in the village Polkhov Maidan in Nizhniy Novgorod region. 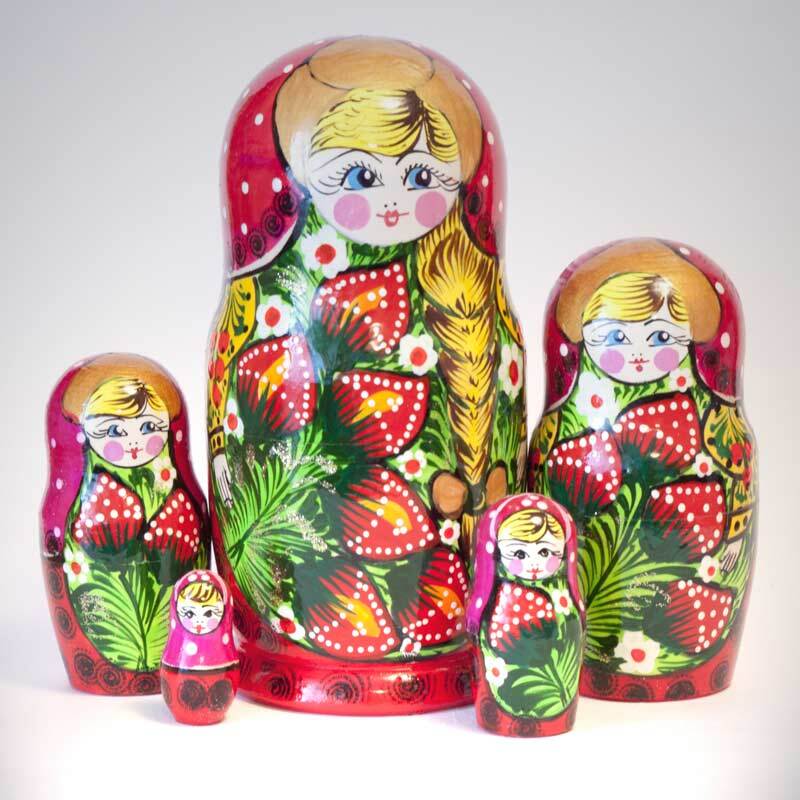 The author of this nesting dolls is godmother of young woman Polina - I cooperate with her some time, she lives in Nizhniy Novgorod region and supplies me with blank nesting dolls and ready nesting dolls painted there. 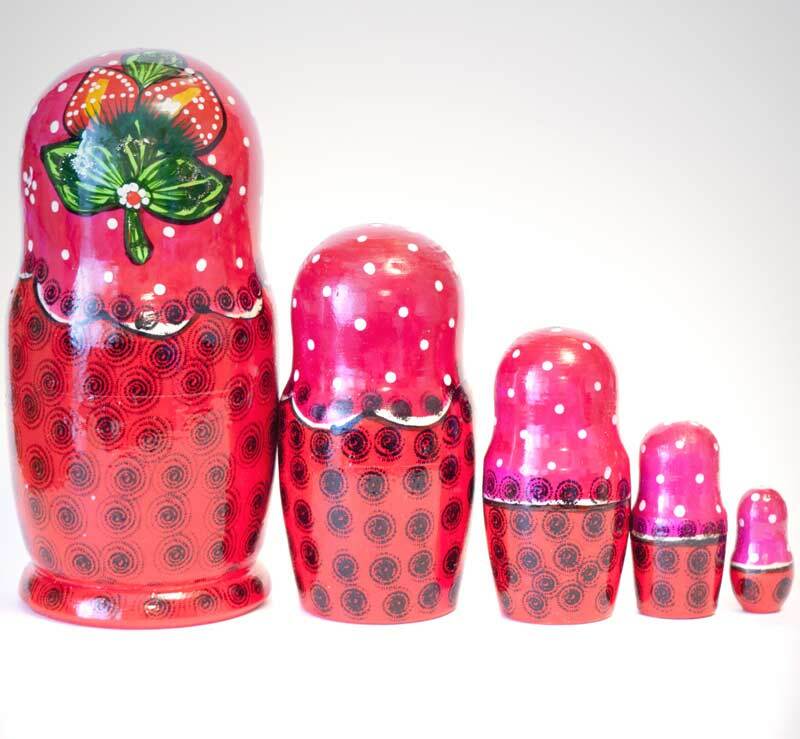 Once she showed me a nesting doll which was painted in traditional manner but looked quite different and vivid. 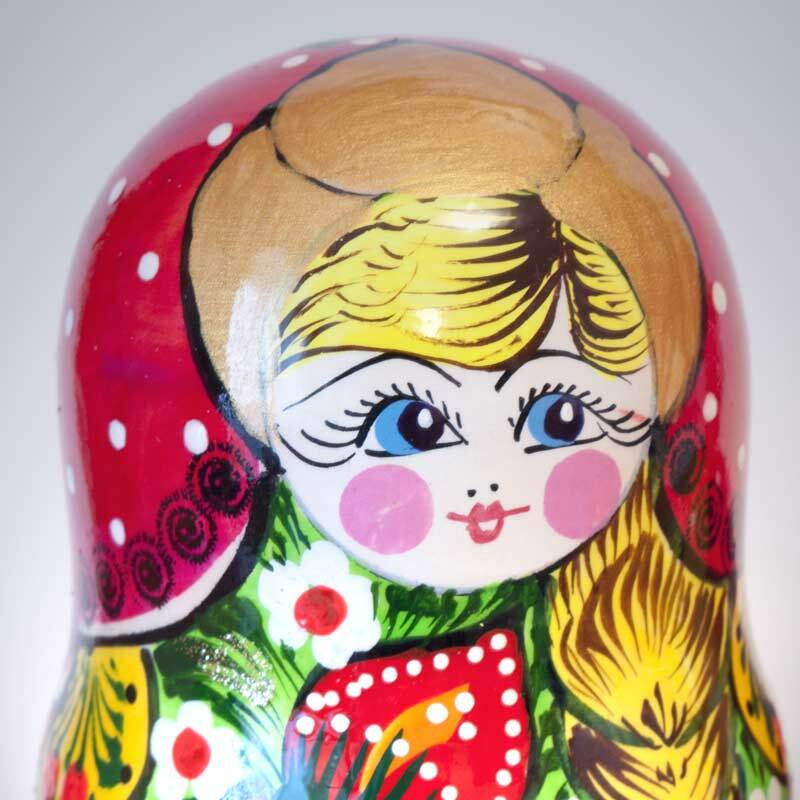 I asked who painted that nesting doll and she said that author was her godmother. 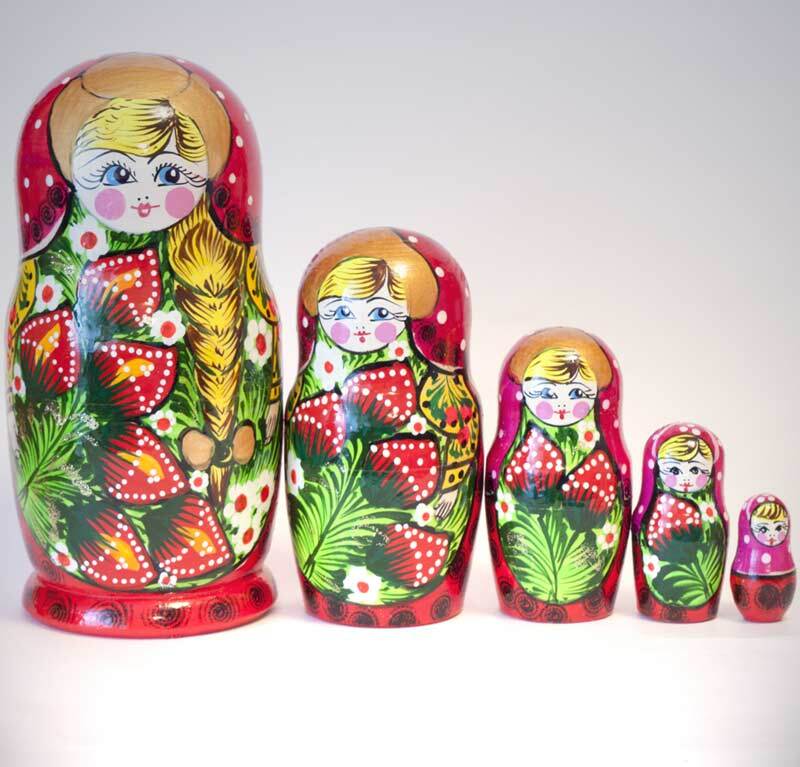 I asked to send me some those nesting dolls and now I have a chance to offer for my customers.